Greece and creditors came to an agreement for new fiscal measures that would be implemented in 2019 and 2020, thus unblocking talks on the bailout program review. Greece agreed on new measures worth 1 percent of GDP in pension cuts in 2019 and 1 percent of GDP in tax reforms in 2020, according to a European official close to the talks. 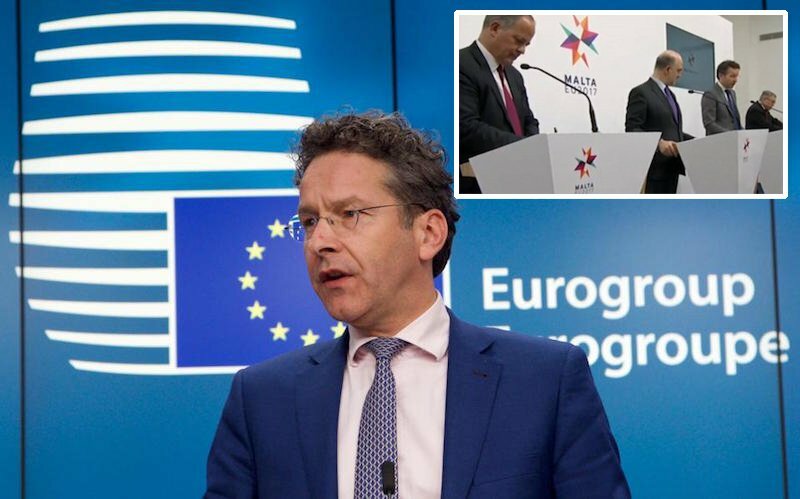 Dijsselbloem spoke of “great progress” and announced that the lenders’ technical teams will return to Athens as soon as possible. “We have an agreement for reforms and a timetable. Technical teams will return as soon as possible,” the Eurogroup chief told reporters in the press conference that followed the meeting. Some details remainin, he said, so the procedure will be completed soon. Once the final agreement is reached, Dijsselbloem said, the euro zone will start discussing issues related to Greece’s medium-term budget and the country’s debt easing. The agreement would unlock the latest tranche of the rescue funds from the European Stability Mechanism. Athens is in dire need of the funds for debt repayments in July.